Why do I have to defend my trademark? How can I protect my business from a trademark lawsuit? What do I do if my business is accused of trademark infringement? Click here to read the full article and trademark attorney Tamera Bennett's responses. Music and Podcasts: How Do I Clear The Music Rights For My Podcast? Dallas Music and Trademark lawyer Tamera Bennett and LA Film and TV lawyer Gordon Firemark bring you the updates on copyright, trademark and entertainment law matters in their monthly podcast by entertainment lawyers for entertainment lawyers. Listen this month to see if there are any "Blurred Lines" or blurred photos. You might hear the strains of "Rocky Top" and decide you need some sassy new shoes. Texas trademark lawyer Tamera H. Bennett joins host Nick Augustine on the LawTalkRadio Podcast and shares tips for marketing and branding firms who want to avoid trademark pitfalls and lawsuits. For marketing and branding firms, what are some trademark pitfalls? What can happen if a creative firm/client gets sued for TM infringement? How do you help trademark owners learn how to leverage their marks? Do creative firms frequently use trademark lawyers for their client work? Are there any resources you recommend to people who want to learn more? Tamera H. Bennett is a wife, mom, lawyer, mediator, blogger, podcaster, and legal writer. With fifteen years in law practice, Tamera guides clients in licensing of materials to and from third parties. In addition to music licensing, trademark application prosecution and trademark licensing agreements, Tamera advises clients on co-branding, product placement, endorsement and sponsorship agreements. Sponsor: Members’ Choice Federal Credit Union on Unicorn Lake Boulevard. You may be eligible to join if you live, work, worship or attend school in Denton or Argyle, Texas. Learn more about Nick and Lone Star Content Marketing by clicking here. From Monkey's taking photographs, Jay-Z being sued for copyright infringement, and DeadMou5 versus Mickey Mouse, film lawyer Gordon Firemark and music lawyer Tamera Bennett cover hot entertainment law topics. You can listen to this episode of the Entertainment Law Update podcast by clicking the link above or visit the podcast website for archive episodes. Lettuce Turnip the Beet - how cute is that for a kid's t-shirt? Adorable. Not so adorable for Gymboree who was sued by an Etsy-based retailer for both trademark and copyright infringement. The Northern District of California court ruled a phrase is not protected by copyright. Copyright law does not protect names, titles, or short phrases or expressions. That decision is right on target. There simply is not sufficient originality in short phrases to have copyright protection. Trademark is the route to go to protect your slogan or phrase. Simply putting a catchy phrase on a t-shirt does not convey to the world that you are using the phrase as a trademark or brand. In fact, if you try to register a phrase as a trademark and the only thing you submit as your evidence of use is a t-shirt with the phrase across the front or back, you will receive an office action denying your trademark application stating your slogan is "merely ornamental" or decorative in nature. Trademark specimen of use for t-shirts. Notice the trademark is in the neck and on the attached hang-tag. I was curious, how did the Etsy-based retailer get a trademark registration for the phrase. She filed with the trademark office a picture of the t-shirt with a hang-tag attached showing the trademark. The trademark is also on the neck of the shirt. It's important that you have a specimen of use with the trademark attached to either the product packaging or to the garment. It might be on a hang-tag, imprinted in the collar or waist band of a garment, or be a small, neat and discrete wording or design located on the pocket or breast portion of the t-shirt. The case is still pending regarding the trademark infringement action. Gorski v. Gymboree Corp., 2014 WL 3533324, No. 14-CV-01314 (N.D. Cal. July 16, 2014). Need To Respond To An Office Action? Call Us. Film lawyer Gordon Firemark and music lawyer Tamera Bennett have two new episodes of the podcast for entertainment industry professionals. Episode 48 - March 2014: Listen for updates on the end of 7 years of Viacom v. Youtube copyright litigation. A jury finds the CEO of Mp3Tunes.com personally liable for copyright infringement. Join the conversation on why there is no DMCA take-down notice for Trademark Infringement. Listen here. Episode 49 - April 2014: Join Tamera and Gordon as they provide a roundup of Aereo copyright infringement cases. They also bounce around ideas for balancing of copyright vs First Amendment/Free Speech. Keep listening for magic trick protection and a possible Disney trademark infringement lawsuit with DeadMou5. Listen here. NIKE, Inc. might end up in a choke hold in its trademark infringement battle against mixed martial arts clothing brand VENOM. NIKE has used the trademark VENOM for athletic equipment and apparel since 2002. 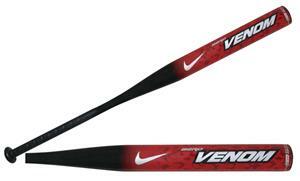 And, NIKE has a U.S. trademark registration issued in 2003 for softball bats. NIKE claims common law trademark rights for apparel. Defendant, Dragon Bleu SARL, a French company, has a U.S. trademark registration issued in 2011 for VENUM with a snake design for "Martial arts and boxing clothes, namely, martial arts uniforms, shorts, kimonos; Sport shoes, especially for the practice of martial arts." And, the venom is spewing in Federal District Court in Oregon as well as France. Dragon Bleu SARL filed suit in France alleging the NIKE brand of HYPERVENOM is an infringement of the Dragon Bleu brand VENOM. NIKE responded with the suit in Oregon for trademark infringement, false designation of origin and cancellation of the VENOM with design mark. New Hampshire coffee roaster, The Black Bear, won its 12-year battle against Starbucks, when the Second Court of Appeals confirmed the lower court's ruling of no trademark infringement. The district court found no likelihood of consumer confusion between the coffee blend called "Charbucks" and the trademark Starbucks. Starbucks takes an aggressive stance against potential trademark infringers. I blogged in 2006 about many of Starbucks then on-going cases. In the Charbucks case, the survey evidence submitted by Starbucks to try and prove a likelihood of consumer confusion, actually worked against Starbucks and the fact finder in the case did not find it persuasive that consumers were confused. JMAN2 Enterprises, LLC, the entity owned by Johnny Manziel settled the trademark lawsuit with defendant Eric Vaughan. Read the original post on the Vaughan trademark lawsuit here. Texas A&M University football star and Heisman Trophy winner Johnny Manziel is a couple of quarters into legal battles over the trademark “Johnny Football.” Part 1 of this post focuses on the battle at the court-house against defendant Eric Vaughan for selling unauthorized “Johnny Football” t-shirts. This post focuses on the initially refusal from the US Patent and Trademark Office for the mark JOHNNY FOOTBALL. Johnny Manziel and his entity JMAN2 Enterprises, LLC filed an application on February 2, 2013 as joint owners of a trademark application for JOHNNY FOOTBALL for clothing items as well as motivational speaking. On May 22, 2013 the application was initially refused on several grounds. We'll focus on the two big ones: 1) the mark is not functioning as a trademark; and 2) likelihood of consumer confusion with trademark applications for JUANITO FUTBAL and JOHNNY BASKETBALL and JOHNNY BASEBALL. 1) The mark is not functioning as a trademark -- The only sample submitted to the Trademark Office of how the trademark is being used on clothing was the t-shirt image above. The trademark examiner argues the large, over-sized placement of the words JOHNNY FOOTBALL is "merely a decorative or ornamental feature of applicant’s clothing; and does not function as a trademark to indicate the source of applicant’s clothing and to identify and distinguish applicant’s clothing from others." I would have to say I agree with the examining attorney. Amazingly enough to most folks, the smaller the mark, the more likely it functions as a brand identifier. As an example, even if you purchase a shirt with the word NIKE across the front, it also has the trademark NIKE in the inside neck of the shirt as well as a hang-tag on the shirt. 2) There is a likelihood of consumer confusion with trademark applications for JUANITO FUTBAL, JOHNNY BASKETBALL and JOHNNY BASEBALL -- Trademark applications are pending for JUANITO FUTBAL, JOHNNY BASKETBALL and JOHNNY BASEBALL. The Spanish to English translation of JUANITO FUTBAL is, you guessed it, JOHNNY FOOTBALL. When the translation is similar or identical, the foreign language registration can be barrier to registration because of the concern a consumer would believe the two products are from the same source. Also notice the use of the trademark on the product packaging. It is placed on the plastic surrounding the shirt as well as on box for shipping. This is the appropriate use of a trademark on clothing. Already, LLC in Euless, Texas applied for trademark registrations for JOHNNY BASKETBALL and JOHNNY BASEBALL. Those applications are pending and baring any third-party opposition to their registration, should be approved in the next few months. Already, LLC is in the athletic apparel business and I've blogged about their case with NIKE here. They also have pending applications for JOHNNY HOCKEY, JOHNNY GOLF and several other JOHNNY marks. I do not believe there was any intentional connection to Johnny Manziel. Manziel may need a "Hail Mary" to overcome these initial refusals at the US Patent and Trademark Office.